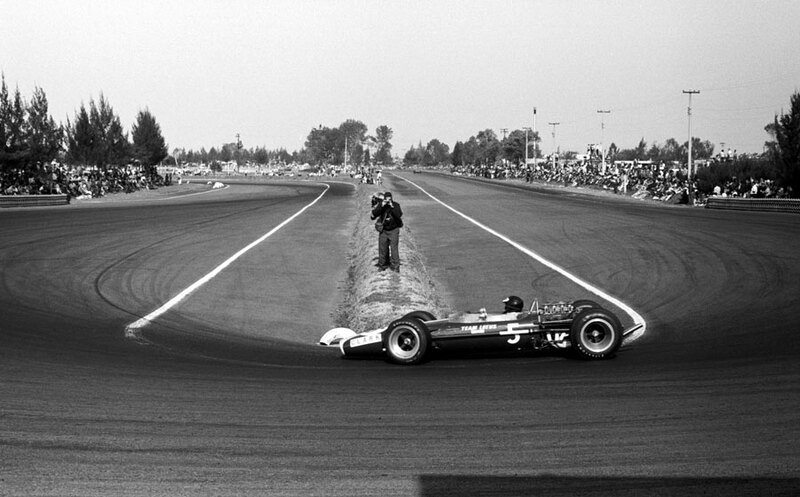 Jim Clark won the season finale at the Mexican Grand Prix, but it was Denny Hulme whose third place was enough to secure the drivers' championship by five points from team-mate Jack Brabham who finished second. Brabham came into the weekend needing to win the race and hope Hulme finished fifth or worse, while Hulme only needed a fourth-place result for the title. He made no secret in the build-up that his tactics would be to stay out of trouble, even playing mind games with championship rival and team boss Brabham. Twenty cars were entered but only 19 turned up, the absentee being Jochen Rindt who stayed away after organisers refused to pay him the appearance money he thought he was worth. There were also issues caused by stray dogs, Jean Pierre Beltoise careering onto the grass in front of the pits to avoid one on the opening practice session. The day of the race was searingly hot, so much so that Brabham quickly made a change to its cars, running a water pipe outside the bodywork to help keep the engines cool. To address the annual problems with crowd control, 800 local troopers were dispatched around the circuit to maintain order. The move proved useless when they simply joined spectators on the edge of the track to watch the race. Their lack of action almost had fatal consequences when Pedro Rodriguez almost killed two people who decided to cross in front of him to meet friends on the other side. There was an early alarm for Clark when he was rear-ended by Dan Gurney on the grid, but he recovered to take an early lead with Brabham in pursuit, while Hulme, who had started sixth, slowly climbed up to third, aided by Chris Amon running out of fuel while second, and then settled back and waited. "I still can't believe I'm world champion," Hulme said. "I must have cheated somewhere. There was no dice in trying to win the race and then falling out and chucking away the title." Brabham's disappointment at missing out was compounded a few weeks' later when Hulme informed him he was leaving his team to join McLaren.